This week I channeled the Diva's Challenge #302 to use Hamadox by Diana Shrurer, CZT into a heart shape in the spirit of love and kindness. We could all use a little more of that in our lives every day, don't you think? 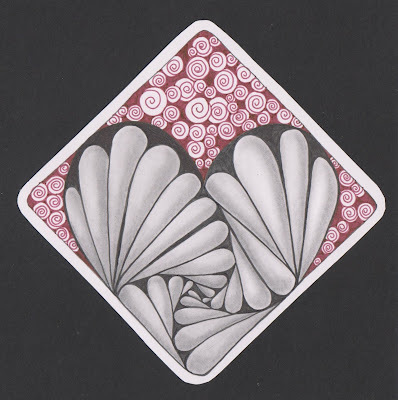 A little graphite shading to round out the Hamadox elements plus a little Printemps in red as a backdrop and I'm pleased to present this Zentangle valentine. 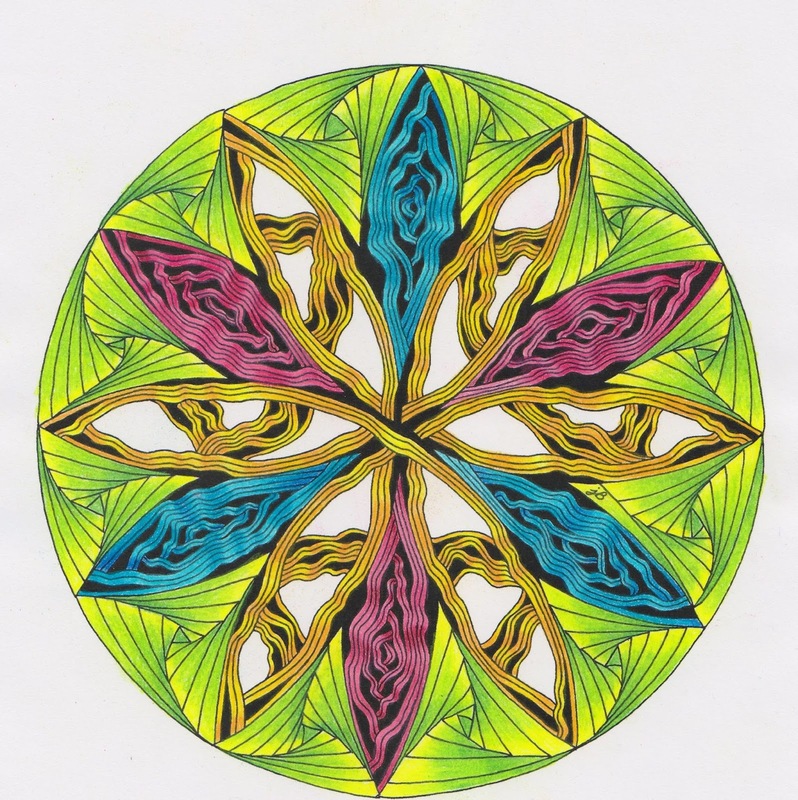 In my last post, I invited people to print out a copy of the Zendala I created for Diva Challenge #301 and to add their own touches with color or shading. Here's mine using colored pencils. Can you tell I've got spring fever? It's not too late to give it a try! If you do, please post it on your blog, Instagram, or other social media site and leave the link in the comments below so I can see it. How are you spreading love and kindness this week? This is a very original and beautiful drawing of Hamadox, I love it. The cheerful and bright colours you have used on the Zendalatile gives us already a bit that happy springtimefeeling. Thank you Jules. Just giving a smile to another person is so easy and many times I got back a lovely smile... that's wonderful.